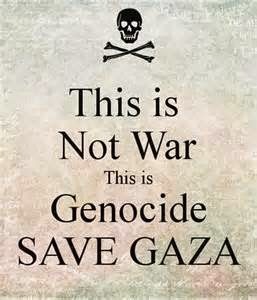 Don't you dare call what is going on in Gaza genocide. Or you will be labeled an anti-semite!!! Are you tired of the constant "spin" coming at you on the Main Stream Media? That Israel is justified in bombing innocent civilians all over Gaza. Check out this 4 minute video by Brother Nathanael.